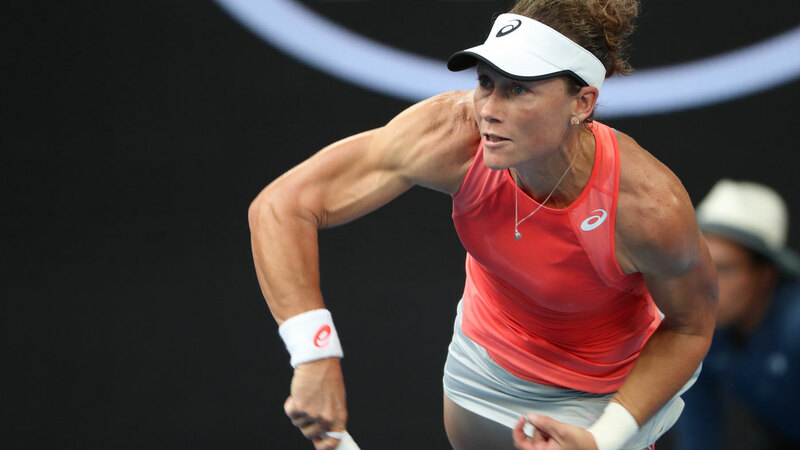 Samantha Stosur has yet again fallen in the first round of an Australian Open, continuing her painful run at the first Grand Slam of the year. Stosur's lamentable record at Melbourne Park persisted with a first-round loss to the world No.57 Ukrainian star Dayana Yastremska, who was playing in her second Grand Slam singles match. Stosur, the only Australian woman to win a major since Evonne Goolagong Cawley in 1980, lost to the 18-year-old 7-5 6-2 in one hour and 18 minutes. It was the Australian’s fourth-straight defeat in the opening round of the Australian Open. The 34-year-old Queenslander's latest loss is typically disappointing, collapsing from an early break and a 4-1 lead to lose 12 of the next 15 games. Stosur has only made one appearance beyond the second round at Melbourne Park since 2011. She finished 2018 with six-straight losses and also bombed out of the Brisbane International in the first round. The former US Open winner was up 5-2 in the first set but somehow lost her concentration and ended up going down in the opening frame 7-5 to the 18-year-old. The former top 10 player continued her slide in the second set, when she was broken early, going down 3-1 before the teenager broke Stosur again to take a 4-1 lead and from there she was never going to come back. The Ukranian out-gunned the Australian with 21 winners to 13, and Stosur's serve completely failed her conceding four breaks and six double-faults. While Yastremska is 16 years Stosur's junior, she is ranked 18 places above the 2011 US Open winner. "I'm so excited. This day will stay forever in my memory," Yastremska said, holding back tears. "With this two weeks, I hope two weeks, I hope people will know more and more (about me)."